About 40,000 spectators packed a 25,000 capacity stadium and it did not look safe. 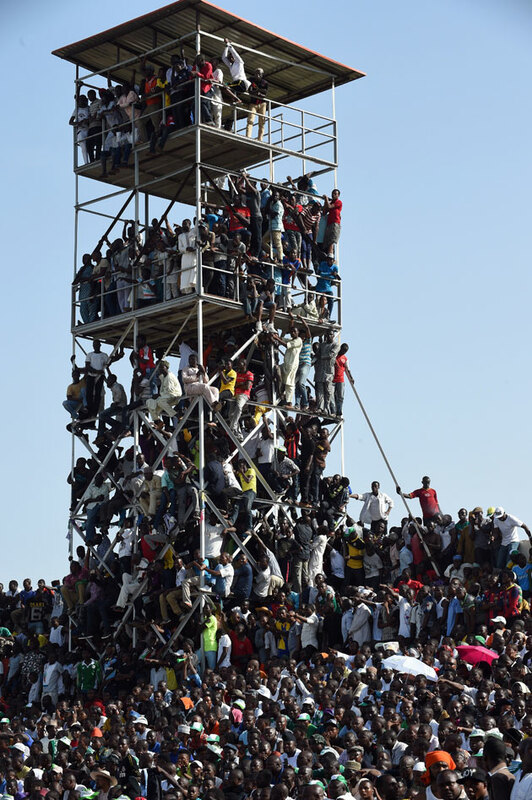 About 40,000 spectators packed into a 25,000 capacity stadium on Friday to watch Nigeria play Egypt in an Africa Cup of Nations qualifier. 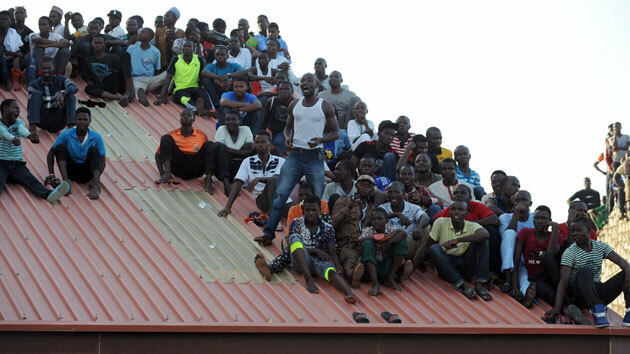 Supporters climbed atop scoreboards and floodlights to watch the 1–1 draw. 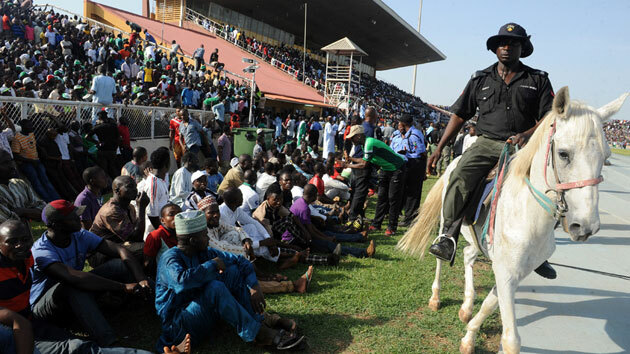 The game was free for fans to attend after a ruling by governor Nasiru El-Rufai, according to the Premium Times. John Obi Mikel, who served as the team captain, and Alex Iwobi made their debuts for the Nigerian national team. Etebo Oghenekaro s​cored the first goal of the night in the 59th minute. Former Chelsea player Mohamed Salah scored the late equalizer for Egypt in the 90th minute. The Nigerian national team continues to trail Egypt in Group G by two points.